Arthritis is a silent, insidious and painful joint disorder that ruins many lives. In the USA, it’s the most common cause of disability. Around 50 million adults in the United States have some form of arthritis. That’s 1 in 4 adults. By 2030, an estimated 67 million American adults are projected to have doctor-diagnosed arthritis. “Arthritis” covers many conditions; what they have in common is joint pain that can be chronic, activity limiting and ultimately disabling. There are two main categories, inflammatory and mechanical. Arthritis the inflammatory disease: characterized by inflammation of joints that leads to destruction of the bone and cartilage. Includes gout, lupus, rheumatoid arthritis (RA) and fibromyalgia. Lupus and RA are autoimmune diseases. Arthritis the degenerative condition: characterized by cartilage damaged as the result of an injury or broken down over time by wear exposing the underlying bone. Rubbing against the exposed bone produces the symptomatic pain, inflammation, swelling, and stiffness. This is osteoarthritis (OA) the most common form of arthritis affecting 27 million adults in the USA. At The Stone Clinic, we direct our attention to understanding, preventing and treating Osteoarthritis. The exact causes of Osteoarthritis are not known but many of the contributing factors are well understood. Traumatic arthritis comes from an injury that damages the articular cartilage. Arthritis also occurs when a patient’s meniscus cartilage has been damaged or removed following a sports injury, leaving the knee exposed to increased forces that wear off the articular cartilage-bearing surface. 1.4 million Americans have their meniscus cartilage removed each year, leaving a large population without cartilage protection and prone to arthritis. A person’s weight or bone malalignment are also contributing factors. Unlike most other authorities on arthritis, The Stone Clinic sees OA as a “fixable condition” not an “incurable disease”. We believe millions of people are suffering unnecessarily by focusing on the symptoms of their condition but not addressing the underlying causes. It’s possible to make your arthritis worse by taking medication to ease inflammation, pain and stiffness. You tend to keep doing the activities that further damage the joint. Currently, the most commonly offered solution for arthritis is a joint replacement. However, this is discouraged before the age of 60 because these replacements last only 15-20 years and a second replacement is often more complicated and costly. As the average age for osteoarthritis onset is 40, you may be condemned to suffer chronic arthritis for 20 or more years. At the Stone Clinic we offer an alternative. Our meniscus, cartilage and ligament replacement techniques are able to reverse the arthritic condition allowing our patients to return to full activity. If you have chronic knee pain, it may be caused by osteoarthritis. The old way of treating arthritis is to rest, lose weight, take painkillers and wait for it to get so bad you need a joint replacement. This has changed. With modern medicine we can rebuild, regenerate and repair. Here are five steps to long-term arthritis relief that may help you delay or avoid a knee replacement. 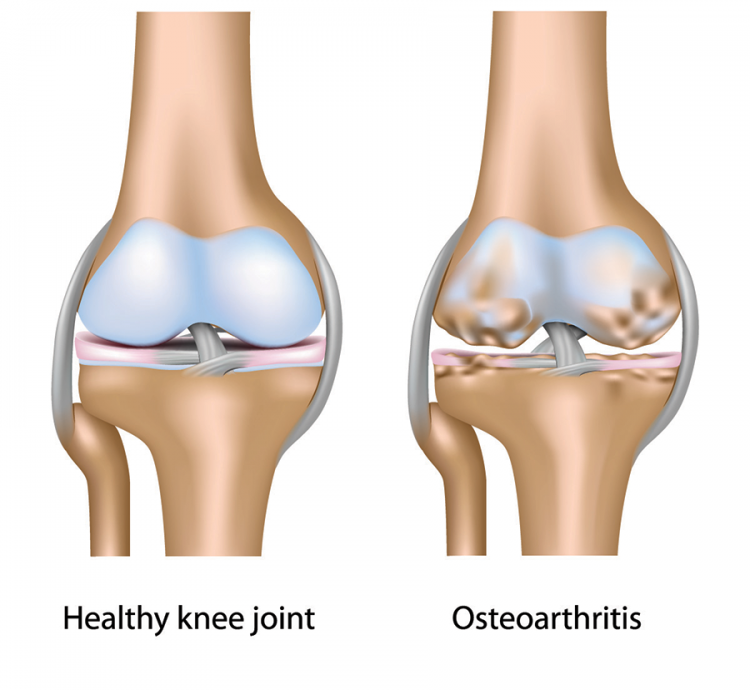 Symptoms of osteoarthritis are pain at the joint, inflammation, stiffness, loss of flexibility and range of motion. A surgeon's evaluation, including an MRI and x-ray, can determine the degree and extent of any cartilage damage and also establish the injury or underlying mechanical problems that may have caused it, such as a missing or damaged meniscus cartilage. The damaged cartilage at the ends of your bones can be regenerated using an advanced surgical technique called a paste graft that uses stem cells to harness the body’s natural healing powers. To prevent the arthritis returning, you must address the underlying cause of the damaged articular cartilage. It is possible to fix or replace your meniscus cartilage and/or ligaments and to realign your joints with surgery or physical therapy. A careful and thorough program of physical therapy will insure a fast recovery without compromising the durability of the repair. A natural approach to fixing joints means that you can perform your best, you'll be able to get back to the activities you love. There is no need for you to wait for years until your arthritis gets so bad you warrant a joint replacement. Take these five steps now and get yourself back in the game. If, in the case of injury, you fix the damaged cartilage early, you can prevent arthritis. If you already have arthritis, we have developed natural ways to help the body regenerate its own cartilage and heal the affected bones to reverse the symptoms of arthritis. We have spent 25 years designing and refining new ways to treat arthritis. Using natural, biologic materials, treatments are less invasive and less expensive than joint replacement with metals, the present standard of care. Our goal is to figure out how our body responds to an injury and then stimulate that response, making it faster and more directed. Using the biologic approach, we can put back a new meniscus cartilage, re-grow the articular cartilage or re-build the ligaments of the knee in order to reconstruct that joint. Our treatment programs include combinations of surgical repair and replacement of missing ligaments, articular and meniscus cartilage using stem cell paste grafts, allograft meniscus and ligament tissues and injections of lubrication (HA), growth factors (PRP). We invented and developed many of these surgical procedures and have the longest and largest follow up studies with peer reviewed outcome studies. Our patients get the leading edge care by the most experienced team. Articular cartilage paste grafting is an arthroscopic, out-patient, single-step procedure in which a small amount of the patient’s own bone, stem cells, and cartilage is taken out of the knee, smashed into a paste, and impacted back into an arthritic defect in the joint. From there, the knee grows replacement tissue, right inside the joint, leveraging the healing ability of the patient’s own stem cells. 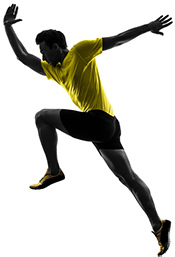 Meniscus tissues are vital to the healthy functioning of the knee joint. Missing or damaged meniscus tissue can lead to the development of osteoarthritis as the unprotected femur and tibia grind together. By replacing all or a portion of the meniscus with donor cartilage, the patient can regain the natural “shock absorber” in the knee and experience many additional years of activity, even in the presence of arthritis. We also focus on physical fitness, balance training, physical therapy with extensive soft tissue mobilization, nutrition education and weight optimization.